CDSP Discipleship (5 credits):A study of the basic disciplines of the Christian life intended to strengthen and deepen the believer producing a true, reproducing disciple of Christ. COTS Old Testament Survey (5 credits): Survey of all the Old Testament books, emphasizing their historic setting and thematic content. Each book is highlighted for its relationship to Christ and to its special contribution to the rest of Scripture. CNTS New Testament Survey (5 credits): Survey of all of the New Testament books, emphasizing their historical settings and thematic content. Each book is highlighted for its relationship to Christ and the Church and to its special contribution to the rest of Scripture. CPPB Prayer & Personal Bible Study (5 credits): An exploration of two key disciplines in the life of every believer coupled with a study of the basic tools and methods for studying the Bible particularly as it pertains to the personal devotional life of the believer. *Class reviews, exams and special assignments count toward balance of credits required for this program. BDO Basic Doctrine 1: (2.5 credits)- A study of some of the major doctrines of the Bible including the doctrines of Scripture, God, Man, Sin and Satan. These studies become the basis for establishing a biblical world view. BD Basic Doctrine 2: (2.5 credits) A continuation of Basic Doctrine I, covering the doctrine of Christ, Angels, the Holy Spirit, the Church, Heaven, Hell and Eschatology. These studies become the basis for establishing a biblical world view. LOC Life of Christ (5 credits): A study of the life, ministry, miracles and teachings of the Jesus Christ taken from parallel gospel accounts. ATS Acts of the Apostles: (5 credits) A study of the Book of Acts with special attention given to the growth and development of the Early Church and to the pattern that Paul provides for modern leadership ministry. *SPK-2 Student is responsible for the preparation and oral presentation of two fifteen minute sermons based on a topic they have studied. This counts as 5 credits. KHS Knowing Holy Spirit (5 credits): A study of the person and work of the Holy Spirit with special emphasis on the fruit of the Spirit and the gifts of the Spirit as they pertain to the individual believer. SOR Study of Romans (5 credits): A study of Romans and Paul’s lessons on how to apply the Word of God to your life. PEPT Walking in the Present Truth (5 credits): A study of the Biblical principles of restoration as they apply to the history of God’s people, the future of the Church and God’s unique work in the life of every believer. PEHM Hermeneutics-Interpreting Scripture: A 24 lesson study of the basic principles governing the accurate interpretation of Scripture and how to use them effectively. 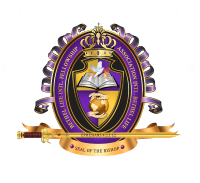 PHML Homiletics; The Art of Preaching: A 24 lesson study of principles relating to the spiritual feeding of a congregation and the technical preparation and delivery of sermons. Time is given for each student to give a variety of messages. *SPK-B Student is responsible for the preparation and oral presentation of a 30 minute sermon based on a topic they have studied. This counts as 10 credit hours towards your degree. *Class reviews exams, and special projects count toward balance of credits required for this program. The Chancellor or an Academic Advisor will discuss with you any specialized classes that may be pertinent to your ministerial goals. Depending on your course of study, your fourth and fifth year classes may overlap. PELP Leadership: A 24 lesson study of the biblical qualifications for leadership, important keys to success as a leader and timeless leadership principles that serve as a basis for a person’s ministry as a leader. PPAM Pastoral Ministry: This 24 lesson class deals with the biblical foundation for the pastoral ministry and specific guidelines for common areas of pastoral practice in the pastor’s private and public functions. EEVG Evangelism/Missions: A 12 lesson study designed to equip the believer with tools needed to become more effective in communicating the Gospel and building bridges to those who do not know Christ. PEVV Vision and Values: A 24 lesson leadership development course focusing on defining, developing, and implementing core values, vision and appropriate strategies in growing a church or building a business. PCPL Church Planting: A 24 lesson look at the biblical basis for church planting with particular emphasis on the practical process from preparation to implementation. ELMD Life Management 1; Discovery Destiny: This 12 lesson study is designed to lead the student on a journey of discovering God’s will and purpose for his or her life and how that life fits into God’s eternal purpose. ELMA Life Management 2; Achieving Destiny: This 12 lesson study focuses on managing the resources of our life to achieve that destiny. It includes goal setting, organization, and time and money management. ELMW Life Management 3; Work and Destiny: This 12 lesson study focuses on how our life’s work or career can lead to living a life of significance, glorifying God and fulfilling God’s agenda or eternal purpose. PESR Social Roles/Relationships- A 12 lesson study exploring our relationships with God, government, parents and peers with a special emphasis on cultivating friendship, dating, courtship and marriage. PCTS Evaluating Current Trends: A 12 lesson biblical study of the principles one uses to discern trends and true and false ministry with a special emphasis on the analysis of various trends currently affecting the church world. 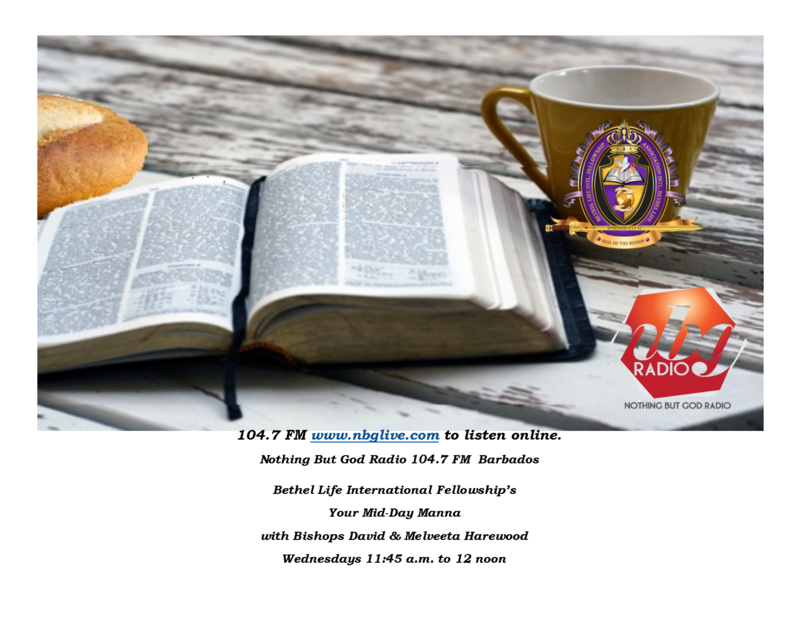 SPK-M Student is responsible for the preparation of a 30 minute oral presentation, a 30 minute video sermon, and along with fellow students, a rotating internet radio broadcast ministry. This counts as 10 credits. FMI - Family Issues: A 24 lesson survey of family relationships, roles and responsibilities from a biblical viewpoint including marriage, divorce, parenting, grand-parenting, blended families and the ministry of the family. LOM - Leadership: The Life of Moses: This 24 lesson study looks at the life of a significant leader in the history of God’s dealing with His people and principles of leadership that can be drawn from his life (Exodus- Deuteronomy). MPN- Ministering to Personal Needs: A 12 lesson study dedicated to equipping the believer to minister to people in personal areas including salvation, water baptism, baptism of the Spirit, healing and basic counseling. SCM -Speech / Communication: This course is designed to equip the student with principles that will help him or her to become more confident and effective in public speaking. VCH Victorious Christianity-A 24 lesson study on the spiritual foundation of the life of every believer including repentance, faith, water baptism, baptism of the Holy Spirit, forgiveness, and other basic Christian disciplines. Cultivating Friendships-While it seems amazing, in spite of all of the online social networks, people are not very proficient at making and keeping friends in the real world. This study will demonstrate how to make and keep friends. Our classes are presented using various media including: Audio, Video, Word or PDF Documents, Power Point Presentations, and Live On-Line Instruction. All classes are available to persons wishing to study for their Personal Spiritual Enrichment. If, at a later date you decide to pursue a degree your credits will be counted towards your degree! Check our website often, as we will be adding more classes and programs. Copyright 2010 - 2021; Bethel Life International Fellowship. All rights reserved.